The new year of 1676 saw Philip weakened—somewhat. In January, he and his band traveled further west to Mohawk territory, seeking, but failing to secure, an alliance. The winter months saw pitched battles as the Narragansetts attacked Pawtuxet; Nipmucks attacked Lancaster then Medfield. As Philip and the Wampanoags returned and attacked Northampton, the Massachusetts Council debated erecting a wall around Boston; assaults were taking place within ten miles of Boston. 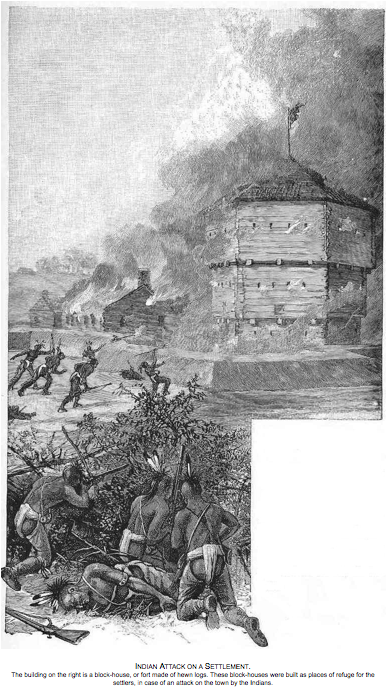 Fighting continued in March, as Nipmucks attacked Groton; Longmeadow, Marlborough, and Simsbury were attacked; Nipmucks attacked English forces near Sudbury. Then, Indians attacked Rehoboth, and Providence was destroyed. Spring of 1676 marked the high point for the combined tribes when, on March 12, they attacked Plymouth Plantation itself. Though the town withstood the assault, the natives had demonstrated their ability to penetrate deep into colonial terrority. Three more settlements – Longmeadow (near Springfield), Marlborough, and Simsbury – were attacked two weeks later, as Captain Pierce and a company of Massachusetts soldiers were wiped out between Pawtucket and the Blackstone's settlement and several were allegedly tortured and buried at Nine Men's Misery in Cumberland. The abandoned capital of Rhode Island (Providence) was burned to the ground on March 29. At the same time, a small band of Native Americans infiltrated and burned part of Springfield, Massachusetts, while the militia was away.